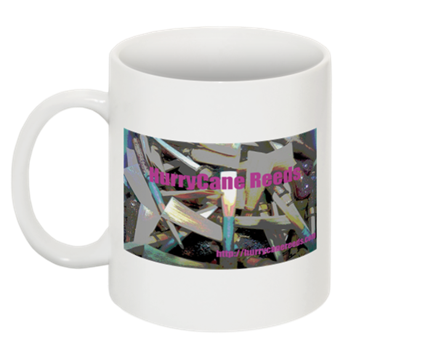 HurryCane Reeds coffee mugs are coming! Just in time for you to enjoy your favorite hot holiday beverage, we are pleased to bring you the HurryCane Reeds mug! These will be ready to ship out in mid-December, and will be available for $8. Please be aware that we will not be processing any orders between Wednesday, November 23 and Saturday, November 26. Come back after Thanksgiving weekend to learn how you can enter to win our upcoming Mug O’ Reeds contest!